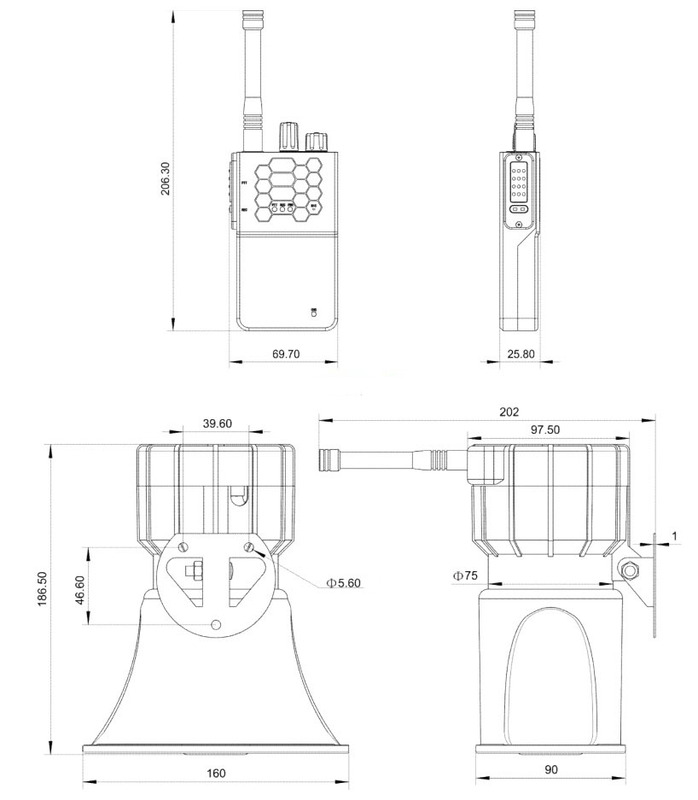 Sky Speaker-I is a megaphone designed for SUAS, can be installed on multirotor and fixed wing platforms.Based on digital wireless transmission technology, it can play recorded sound sources and do real-time broadcasting. In this case, it will be very helpful in missions like rescue, search, fire fighting, police negotiation etc. Compared with normal analog signal transmission based megaphone, Sky Speaker-I uses advanced digital voice coding technology, which enable the speaker to avoid analog sound interference in the air. Sky Speaker-I has 2 working modes: play SD card recorded sound and real-time broadcasting. You are able to switch the modes easily on handheld intercom. Sky Speaker-I is using internal magnetic speaker, so it does not affect drone geomagnetic field. Speaker cover range is 1KM while intercom transmission range is 10KM. You are able to load any sound source to the speaker, no time / size limit, accepted format is MP3 and WAV. Please notice: send us sound source before shipping. Check HERE to find more details about changing original sound if you already have one speaker.